The protagonist's grappling hook arm literally changes the game. It took me four tries to beat the first major enemy in our Sekiro: Shadows Die Twice ($60 preorder on Steam) demo. He’s not that hard—not even a real boss, per se. Just a slightly more powerful soldier than the mobs around him, a named Samurai General commanding nameless hordes. Time and time again I marched towards him though, having dispatched his troops, and was killed by the sweeping swings of his sword. As much as it’s tempting to lump all of From Software’s games into a “Souls-like” umbrella, the studio’s proven skilled at reinventing what that term means—from Demon’s Souls to Dark Souls, Dark Souls to Dark Souls III, and to the faster-paced fan favorite Bloodborne. Sekiro has plenty in common with this cohort, to say nothing of Team Ninja’s Nioh, and yet it’s also uniquely Sekiro, and that means going through the entire Souls learning process once again. Prepare to die in all-new ways, once more. We covered Sekiro at E3, and the demo I played at Gamescom this week was identical. The difference: It was me playing this time, not a From Software staffer. We've embedded a video of my experience further below. It hit the same beats though, first stealthily cutting through a few grunts—either leaping off the rooftops or emerging from bushes to stab them in the neck. Next came the battle with the Samurai General, the slightly tougher enemy who gave me some early trouble. From there, a bit of exploration and an eventual combat encounter with a Chained Ogre. Then, the final standoff against the Cursed Monk, a picturesque battle that takes place on a bridge with leaves falling all around. We traded blows for a bit but I died, and was told that as of Wednesday morning nobody at Gamescom had beaten the boss. I also took a couple of quick detours, seeing some of Sekiro’s “secret” areas. One of these was the giant snake encounter we saw at E3, leaping across a canyon with the help of the protagonist’s grappling hook arm and hiding from a serpent that could swallow us in a single bite. Then there was an area we hadn’t seen in the E3 build. A small shrine sat on a cliff with a warning: “Turn back if you value your life. You can’t behead the headless. Our swords and pikes did nothing.” Ignoring the ominous words I leaped down to a cave below. As expected, a headless boss enemy waited within, and this one I didn’t even manage to scratch. It emitted some sort of miasma that stopped me from dodging as quickly, teleported around the room at will, and even when I thought I’d connected a sword blow nothing happened. A mystery for the full release, I guess. In any case, none of those “big” moments—the snake and the two bosses—were allowed on video. You can see me fight through the Samurai General and the Chained Ogre below, but then the video will just sort of...end. That was From Software quickly hitting the “Stop Recording” button as I approached the secret area. 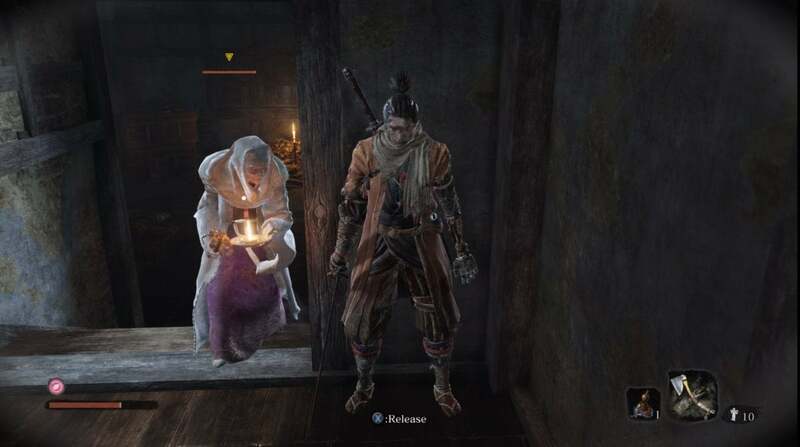 That range of encounters in such a small space speaks to Sekiro’s greatest strength though: Exploration. I played only a small slice of Sekiro, so I don’t know how the game is structured. One big interconnected map? Lots of small levels? No idea. It has the potential to be my favorite Souls game since the original Dark Souls though, in part because the map design is so different and exciting. You’re so much more mobile than ever before. You can jump, scramble up walls, pull yourself up ledges and onto rooftops, shoot your grappling hook to a nearby tree branch and then redirect to another in mid-air, then dive onto an unsuspecting opponent below. I hit a few stumbles, like ledges I couldn’t grab onto for no real reason. It’s refreshing though, zipping around. The most obvious route is rarely the best, especially given how much stealth helps thin out enemy forces. You’re almost always better off finding the high ground, taking out the sentries, and then leaping into the main fray. Alternate routes and secrets litter the level too. I always loved the weird moments in Dark Souls where for instance you’d jump off a cliff and land on a smaller ledge below, revealing unseen treasures. 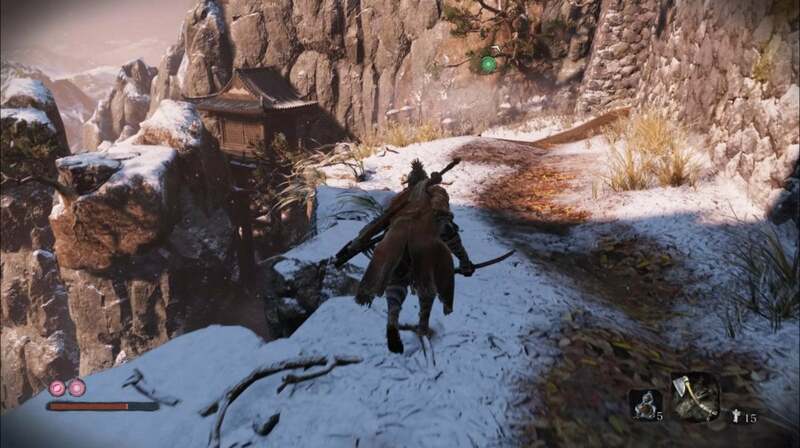 Sekiro is that idea realized on a grand scale, with the potential for every rooftop to hold treasures, or every cliff to hide a secret grappling hook point below. It’s fun, and I expect people will be scouring for secrets for ages. As for combat? There are definite Nioh similarities, intentional or not. 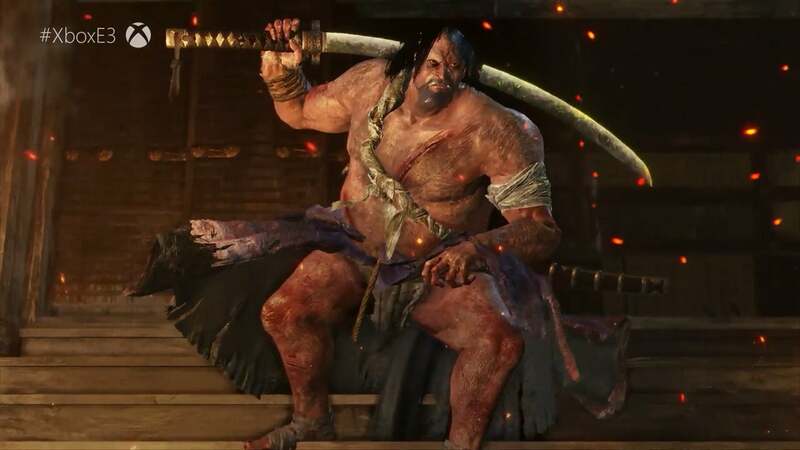 Sekiro’s not only faster than the previous Souls games, it also functions a lot like Nioh. Instead of stamina, both you and your enemies have a “Posture” meter that fills as you block enemy attacks or dish out your own, and when that meter is filled you or your enemy are temporarily incapacitated and opened up to a brutal Shinobi Deathblow. This kills lesser enemies outright, and is enough to take a healthy chunk out of a boss too. Regardless of whether it was influenced by Nioh, it’s a major change for From Software. The Souls titles and even Bloodborne typically revolved around patience, waiting to find an opening in the enemy’s attack patterns. Even the simplest enemies, it was safer to let them blow an attack, then swoop in for the kill while they recovered. 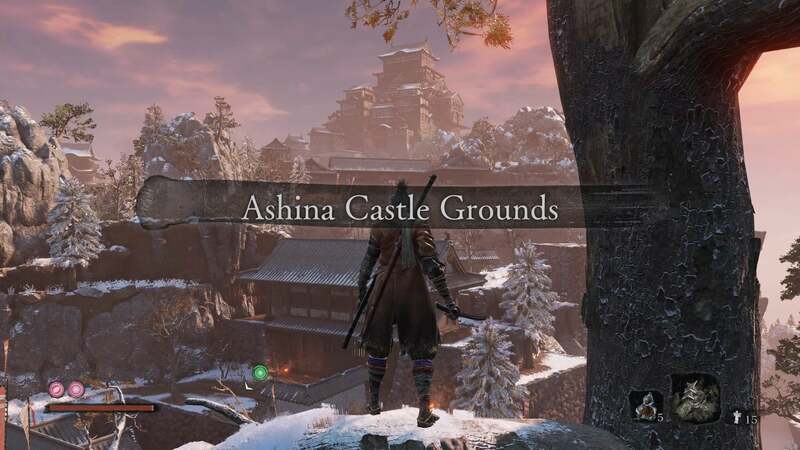 In Sekiro that’s not a hard rule. With small enemies for instance, it’s often easier to rush in and hit them, fill their Posture meter, and then unleash the Death Blow before they get a single attack off. You also get a secondary weapon. 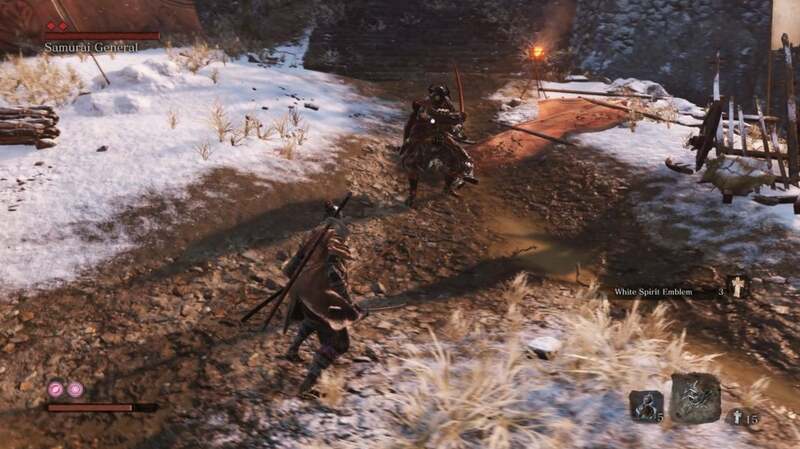 This aspect’s similar to Bloodborne’s trick weapons, especially Sekiro’s Loaded Axe. In the game's fiction, these are prosthetic arms the protagonist attaches to his body, so you’ll see the axe literally emerge from your left forearm as you fight. The main difference from Bloodborne is you can swap between attachments on-the-fly. For our demo that meant three options: Shuriken, the aforementioned axe, and a “Flame Vent” which was essentially an arm-mounted flamethrower. I mostly stuck with the axe, as it did the most Posture damage, and that was usually my tactic for subduing enemies. I’m interested to see what options are in the final release though, since to my knowledge you’ll be fighting with a katana in your right hand for the entire game. Hopefully that leaves From lots of room to experiment with your off-hand abilities. It’s such a small slice though. I don’t really mind, and it’s hard to begrudge From Software for serving up the same demo as last time—it’s only been two months since the game was announced, and I hardly expect them to spend all summer building another slice for the first hands-on. That said, we didn’t learn much except that it feels as fast-paced and flashy as it looked at E3. There were no new character details, no story bits, and not even a real explanation of how the resurrection mechanic works except that you pick up items from slain enemies and it’s also governed by a timed cooldown. All interesting and useful knowledge, but as far as the character, his quest, all that? You can try and glean a bit from our earlier E3 coverage, but otherwise it’s looking like you’ll have to wait until the release next March to find out.